Call me crazy, but I don't like losing my phone in the car. There are already all kinds of cool doohickeys out there that are supposed to hold your phone in place, such as magical mystical sticky mats and the like, but whoever invented those hasn't seen an '06 Impala sliding around the corner. 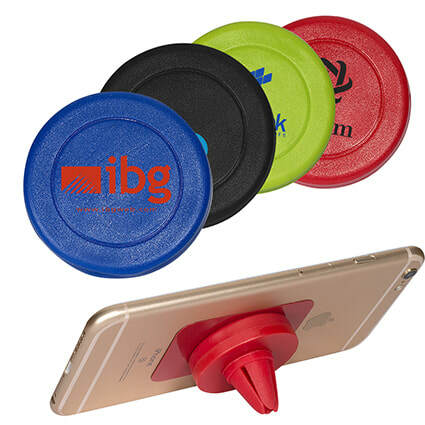 Our customized logo magnetic vent mounted mobile phone holders arrive at your door printed with your one color logo, and will hold your phone in place without all of the fanfare of the other doohickeys. I don't need doohickeys, I need my phone to stay still and be visible when I'm using GPS, which is always. You're probably the same, so order some of these Magnetic Car Vent Phone Holders with your company's logo below. These ship easily and make great trade show giveaways, you're going to be the belle or the bro of the ball at the next big event when everyone else is just handing out pens and mints. These great auto vent phone holders ABS, PVC, and space age magnetic material to hold your mobile phone. 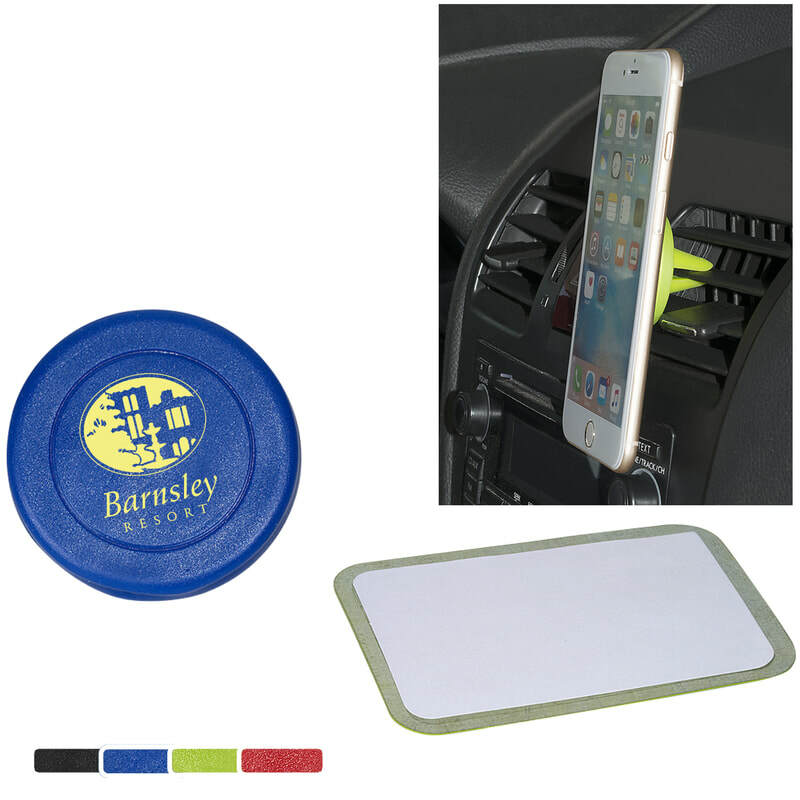 Unlike many of the other companies that sell automotive phone holders, these require no adhesive! Price includes your one color customized logo or company name on these magnetic phone holders. Price, for a LIMITED TIME, includes free setup and free shipping.